« just one last post….. So the tickets are booked and paid for and on 14 June 2011 we are going ‘home’. Such a weird word to use in this context coz of course South Africa is no longer my home. I left South Africa in October 2001 and have lived in the UK since July 2002 and I now call London ‘home’. The last time we visited South Africa was in 2008 for my sister’s 50th and to catch up with family and friends. How much has changed since then. The purpose of this trip is to visit my daughter’s grandparents, both of whom are in their 90’s now and both of whom have had major health issues in the last year or so. Last year her grandmother fell and broke her hip, she recovered from that but has now fractured a vertebrae. Her Grandfather is still recovering from prostrate cancer and last month fell and broke his hip. They are so fragile now. So this trip is to spend some time with them. I recall the last time we saw them back in 2008 how they and we cried when we left, thinking it would be the last time we saw them, and this time it may well be. So it is with gladness and sadness that we make this trip back coz the reality is that this may indeed be the last time we see them….personally I hope it’s not. Of course the trip is twofold coz we have not seen the rest of the family for an equal amount of time and the children are growing up fast (my sister’s grandchildren) I have not seen my younger sisters since 2008 either and my Dad….not even sure where or when last we caught up! It may well have been here in London, but so much has happened in the last few years that it feels like a blur. I have seen my brother and sister-in-law; at the beginning of this year for about 5 minutes when they were in-transit to Hungary last January. Now you may or may not know that South Africa is rather a large country and the UK could probably fit into it 6 times over if not more. So going home is always a challenge! Why? Well mostly because the family are dispersed over such a vast area and we spend a lot of our time travelling from one place to the other. For e.g. 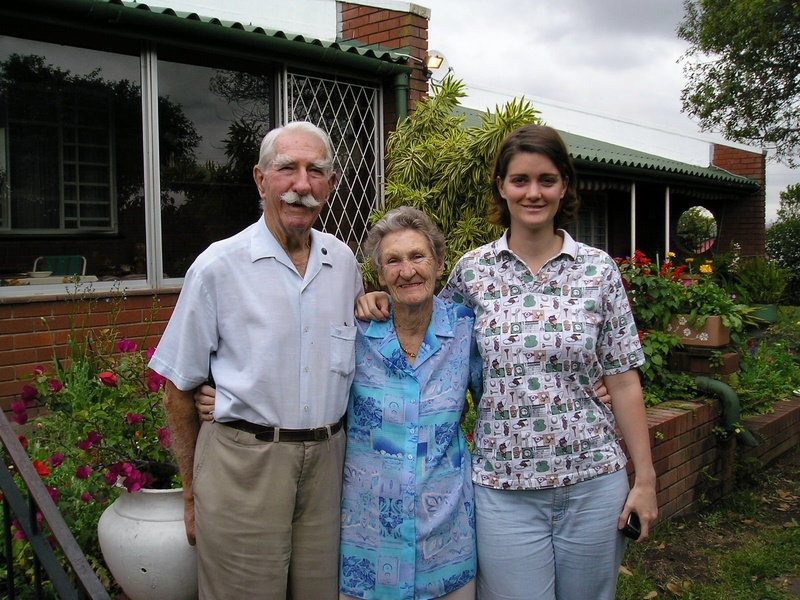 the grandparents and one Aunt live in Natal; my Dad, 3 younger sisters and 2 brothers-in-law live in the Cape – none of which is anywhere near one to the other; and my other sister and family all live in the Transvaal, as well as my daughter’s father, her brother and sister and their families. Besides which there are friends to visit and catch up with as well. So it’s a matter of a few days here and a few days there and a couple of days somewhere else, and before we even have time to breathe…..it’s back on the plane to the UK. So the result is that you only get to spend about an hour or two with the people you care about. On the emotional side of things, I always find it a real challenge to go ‘home’ – one because it is no longer my home and I have no emotional attachment to the country at all, which I know folks always find strange, and two because the person I was back then is so completely different to the person I am now that I feel like a fish out of water, it’s like landing in a foreign country. 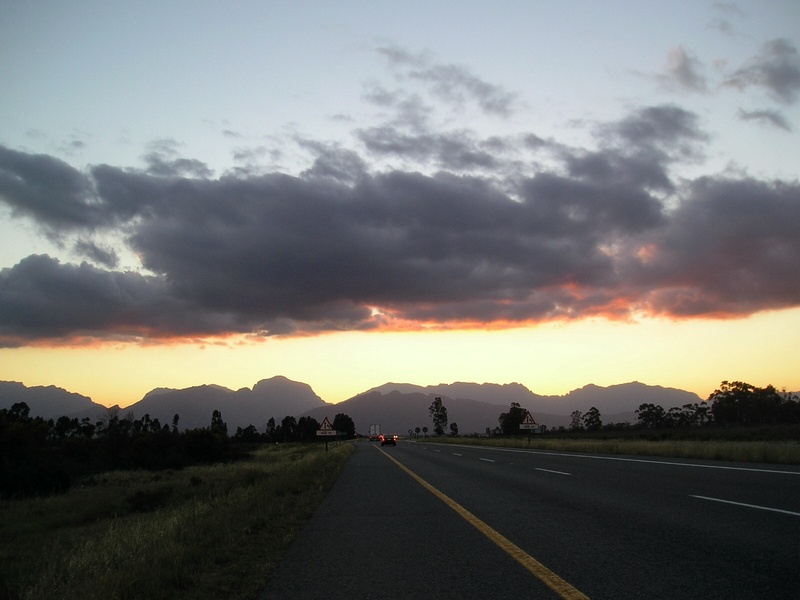 When I am back in South Africa, it feels like a blanket has been thrown over me; I feel stifled. London is now so home to me and I find it really difficult to go ‘back’. It feels ‘back’ in every sense of the word and I spend the next few months after I return to London trying to shake off the emotional turmoil of the trip. It’s always wonderful to see the family and to catch up with friends, but saying goodbye again is dreadful. That’s besides the feelings of claustrophobia I feel when I step off the plane. I hate the vastness of the country, I hate that I cannot just walk out the front door and go to the store, I hate that I cannot take a train into the city centre and go walkabout, I hate that when I am driving in a car I have the fear of carjackings and have to make sure that the car doors and windows are securely locked. There are many other things that I loathe about going ‘home’ besides the above, but the biggest is the feeling that I suddenly lose my identity. I lose my sense of self, my sense of freedom. I recall the last time we went home, my daughter’s father was driving us from the airport to his house where we would be staying for a few days and the area we were driving through was wide open and spacious and yet the overwhelming feeling I had was one of claustrophobia. (see pic above) That came as such a shock to me! I was sat in a metal box, doors securely locked, with wide open country in front of me and I felt so closed in and trapped. A feeling that usually catches me as I step off the plane. I hate driving around in a metal box, doors and windows securely locked, fearful of carjackings, locking doors and windows at night; burglar bars and barbed-wire fences the norm. I hate that I can’t just walk to the bus-stop and get on a bus to the station, wait for the next train and whizz off into London. Total freedom! I can walk where I like, sit on the banks of the river, meander here and there without restriction and really enjoy my surroundings without fear! I dread the flight; it’s 1.5 days of airports and planes, I dread the country (? ), I dread saying goodbye, I dread going back! And all of that aside, it will be wonderful to see the family; the hugs, the laughter, the catching up on news we don’t always get, re-establishing realtionships, playing with the grandchildren, creating new memories, loads of photos of shared moments in time and filling up the coffers of family love till the next time we……………go home!